Note: This event has been moved to Wyly Theatre. Tyra Banks is the supermodel, super entrepreneur, and super CEO of our time. As an original Victoria’s Secret Angel, the first African American model to be featured on the cover of the Sports Illustrated swimsuit edition, and the creator/executive producer of one of the longest-running competition shows, America’s Next Top Model, Tyra has made it her life’s mission to expand the definition of beauty and empower women worldwide. In 2012, she graduated from the Owner/President Management program at Harvard Business School, and now teaches personal branding at Stanford University’s Business School. She has been listed twice among Time magazine’s 100 Most Influential People in the World. In Perfect Is Boring, Tyra Banks and her mother, Carolyn, get raw, real and cray-in-a-good-way as they share what they’ve learned on Tyra’s journey from insecure preteen to supermodel and entrepreneurial powerhouse. 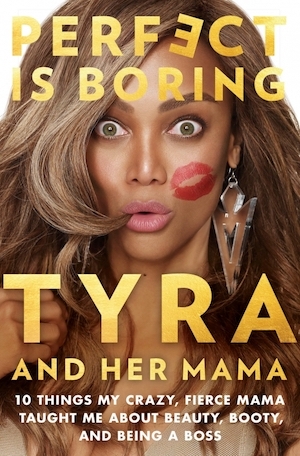 Though she’ll be the first to tell you she is not her daughter’s best friend—‘cause she ain’t that kinda mama!—there’s no doubt that Carolyn’s signature mix of pep talks and tough love got Tyra to where she is today, and here they pay it forward to empower readers with a reminder that perfect really isn’t all that. 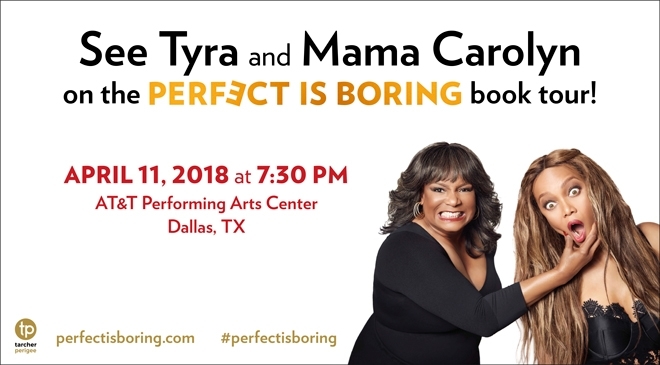 Every ticket purchased includes a copy of Perfect is Boring signed by Tyra Banks!